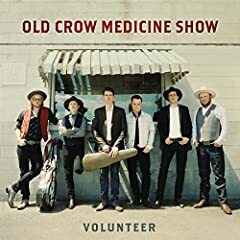 Old Crow Medicine Show is an Americana string band based in Nashville, Tennessee, that has been recording since 1998. They were formally inducted into the Grand Ole Opry on September 17, 2013. Their ninth album, Remedy, released in 2014, won the Grammy Award for Best Folk Album. The group's music has been called old-time, folk, and alternative country. Along with original songs, the band performs many pre-World War II blues and folk songs. Bluegrass musician Doc Watson discovered the band while its members were busking outside a pharmacy in Boone, North Carolina, in 2000.